Hear Dental Village Eastside in Tucson, AZ is looking for a full-time, highly skilled Dental Hygienist to join our friendly, dedicated team! We desire an individual who is passionate about dentistry and committed to providing optimal dental hygiene care to our patients. The Dental Hygienist will be responsible for cleaning teeth and examining patients’ oral health, as well as recording and reviewing patient medical histories. A valid Dental Hygienist license in Arizona, CPR certification and a degree in Dental Hygiene are required. Work days are from we offer an excellent compensation and benefits package. Our All Bright Dental family is looking to add another full-time member to our team. We are looking for a friendly and outgoing hygiene coordinator with excellent customer service skills. If you are self-motivated, detail oriented and offer exceptional communication skills you have found your new dental home. Must have at least 1-2 years dental experience. Dentrix knowledge a plus but not necessary, we will train. We offer the highest level of patient care and are looking someone to join our family who will help provide that perfect patient experience. We would love to meet you. Please send us your resume to allbrightsmile@gmail.com or fax it to 702-220-8050, Attn: Tina See who we are at allbrightsmile.com. Meet our team, review our life changing before and after photo’s and check out what our patients are saying about us. Comfort Dental has been providing dental care for over 15 years. At Comfort Dental, our focus is on excellence in comprehensive dental care. We focus on high quality dental service and patient satisfaction.The Dental Hygienists at Comfort Dental partner with the dentists in direct patient care and serve as an integral part of the healthcare team, promoting superior oral health for all patients. We would like you to become part of our team! We are currently looking for a Registered Dental Hygienist for Mondays and Thursdays. There is a potential for additional hours in the future. The position of a Registered Dental Hygienists requires excellence in patient care. The candidate must adhere to clinical policies and procedures and office protocols. This includes, but is not limited to, the following - Perform oral healthcare and risk assessment - Perform preventive and therapeutic procedures - Provide patient education - Ensure proper patient record and documentation - Interact with patients and staff in a positive and professional manner - Assist all other members of the dental team in patient care - Perform other job related duties as assigned The ideal candidate will have a positive attitude and energetic personality. He or she will also possess excellent interpersonal and organizational skills. We are searching for a dental hygienist who is passionate about Dental Hygiene and the service he or she provides. Permit-L is preferred but not required. We are on the hunt for a great Dental Hygienist for our practice. Join our team of exceptional Hygienists in providing high touch, patient friendly dentistry! About Our Practice: Type: Full Service Family Dental Practice, privately owned and operated by Dr. David M. Allen DDS Age of Business: 33 years (A+ rated w/ the BBB) Services: Restorative, Endodontics, Oral Surgery, Implants, Dentures, ER Services, and Comprehensive Orthodontics Job Details: Type: Full-Time - 4 days per week Benefits: Medical insurance starting at $12 bi-weekly, free family dental, free vision coverage, free long-term disability, free life insurance, 401k with company match, supplemental coverage (short-term disability, accident, critical illness, etc. ), 529 college savings plans, yearly service bonuses, paid professional dues, free scrubs, CE allowance, free license renewal, free family access to on-site fitness center, paid time off (up to 17 days), and more! Requirements: Active Indiana Dental License Submit your resume and cover letter to: cmiller@afdent.com or call 260-470-7968 for more info. We would love to hear from you! Denta Hygienist -- Sign-On Bonus Included! As a Hygienist with an Aspen Dental-branded practice, you are not only making a statement that you are committed to providing quality dental care but you are also becoming a part of a collaborative network of dental professionals. For an estimated 47 million Americans, lack of access to affordable dental care is a real problem and by aligning with an Aspen Dental practice you can be part of the solution. Commitment to continuous development and promoting from within means your career path is limitless. We're on a mission to give America a healthy mouth. Hygienists who join an Aspen practice work for a licensed dentist and live that mission every day by supporting the clinical needs of your practice's patients and doctors. Not only can you maximize your career potential, but you can make a real difference in the lives of patients. 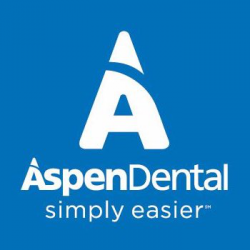 About Aspen Dental-branded practices Aspen Dental-branded practices are independently owned and operated by licensed dentists. The practices receive non-clinical business support services from Aspen Dental Management, Inc., a dental support organization. Responsibilities Evaluates overall oral health, examining oral cavity for signs of periodontal disease or possible cancers, including sores, recessed & bleeding gums, and oral lesions. Documents dental history or chief complaint; records and reports pertinent observations and patient reactions to dental staff, as appropriate; documents lab procedures and ensures follow up on results. Follows through with oral hygiene procedures in accordance with treatment plans prescribed by the attending Dentist. Procedures may include: Prophylaxis, Periodontal Scaling, Root Planing, Debridement, Application of Fluoride Treatments, and Application of Protective Sealants. Assists with or institutes emergency measures for sudden adverse developments during treatment of patients. REGISTERED DENTAL ASSISTANT- FULL TIME Seeking a full time Dental Assistant for a dedicated and caring team. Experienced preferred but not necessary. Must be upbeat, willing to learn, and an overall great motivated team member. Hours are Tues- Fri. Please send resume. Salary/benefits are DOE REGISTERED DENTAL HYGIENIST We are looking for a Dental Hygienist to join our Bellevue practice. Confidence in patient communications and strong clinical skills are a must. We believe in providing the best quality care for our patients and our hygiene program reflects that. If this is you, please apply! This position is open immediately for the right person! Please send us your resume, salary requirement and a professional reference in response to our ad. We are looking forward to meeting you! We are looking for an excellent new team member for our top rated dental office [Dental Insider & OpenCare] who is gentle, caring, professional, and efficient. Our office has automation assisted SolutionReach to help with our "Continuing Care" management. [We would be willing to work with you on a part time basis to get to know you better.] Our new team member must be enthusiastic, warm, and kind. We have a team which includes a front desk professional, 2 capable assistants, a doctor and our new wonderful hygienist [hopefully you!]. Our new hygienist will be compensated on a production basis and very soon eligible for bonuses. We are strongly oriented toward the best possible implant dentistry. You will be working in a modern, beautiful office. There are 2 treatment rooms available for you, our hygiene professional and a full time assistant will be dedicated to helping you. We utilize 2 periodontal lasers, piezo ultrasonic scalers, digital intraoral radiographs, digital panoramic radiographs, an intraoral camera, digital photography, Velscope, .... We have parking on our building's property for patient convenience. We have computers in all of our operatories with dual monitors. We need you to work with us 2 Saturdays per month [9-2], and 3-4 days [some evening hours] per week. We are a growing dental practice currently seeking a dental hygienist with strong clinical knowledge and application, as well as a sincere passion for disease prevention and early treatment of periodontal/dental disease. We offer a great benefits package on top of a lucrative compensation plan. Receive a $500 signing bonus, u pon completion of first 90 days with company . Essential to this role is your ability to communicate effectively, maintain professionalism under pressure, and provide an exceptional patient experience Prepares treatment room for patient by adhering to prescribed procedures and protocols. Prepares patient for dental hygiene treatment by welcoming, soothing, seating, and draping patient. Provides information to patients and employees by answering questions and requests. Maintains instrumentation for dental hygiene treatment by sharpening, sterilizing, and selecting instruments. Selects materials and equipment for dental hygiene visit by evaluating patient's oral health. Completes dental prophylaxis by cleaning deposits and stains from teeth and from beneath gum margins. Maintains dental supplies inventory by checking stock to determine inventory level; anticipating needed supplies; placing and expediting orders for supplies; verifying receipt of supplies. Documents dental hygiene services by recording vital signs and medical and dental histories; charting in patient records. Documents dental hygiene services by recording vital signs and medical and dental histories; charting in patient records. Contributes to team effort by accomplishing related results as needed. The administrative front office team member plays an important role in our very busy dental office. Administrative tasks include communicating effectively with patients and maintaining an organized schedule for (2) dentists and (3) hygienists. Our office is committed to providing quality care in a relaxed environment. Our goal is to always treat the patient like family. This position will maintain and organize all administrative functions of the front office, including reception tasks- receiving and distributing office mail and email and answering the office phone and properly scheduling the patient or taking care of insurance/questions. In addition, verifying patient appointments by phone/text/email system. Position also greets and verifies patient information when they arrive and effectively checks the patient out when they are finished. Checking out patients includes: collecting payment, scheduling new appointments, and completing referrals to specialists. Insurance verification and explaining benefits to patients both over the phone and during the appointment. In addition, financial arrangements and presentation to patients when treatment is proposed. Higher level roles include insurance claim tracking, accounts receivable management, and collection of delinquent accounts. Management of the Recare system is also a role of the front office administrative team. As a Hygienist with an Aspen Dental-branded practice, you are not only making a statement that you are committed to providing quality dental care but you are also becoming a part of a collaborative network of dental professionals. For an estimated 47 million Americans, lack of access to affordable dental care is a real problem and by aligning with an Aspen Dental practice you can be part of the solution. Commitment to continuous development and promoting from within means your career path is limitless. We're on a mission to give America a healthy mouth. Hygienists who join an Aspen practice work for a licensed dentist and live that mission every day by supporting the clinical needs of your practice's patients and doctors. Not only can you maximize your career potential, but you can make a real difference in the lives of patients. Evaluates overall oral health, examining oral cavity for signs of periodontal disease or possible cancers, including sores, recessed & bleeding gums, and oral lesions. Documents dental history or chief complaint; records and reports pertinent observations and patient reactions to dental staff, as appropriate; documents lab procedures and ensures follow up on results. Follows through with oral hygiene procedures in accordance with treatment plans prescribed by the attending Dentist. Procedures may include: Prophylaxis, Periodontal Scaling, Root Planing, Debridement, Application of Fluoride Treatments, and Application of Protective Sealants. Assists with or institutes emergency measures for sudden adverse developments during treatment of patients.